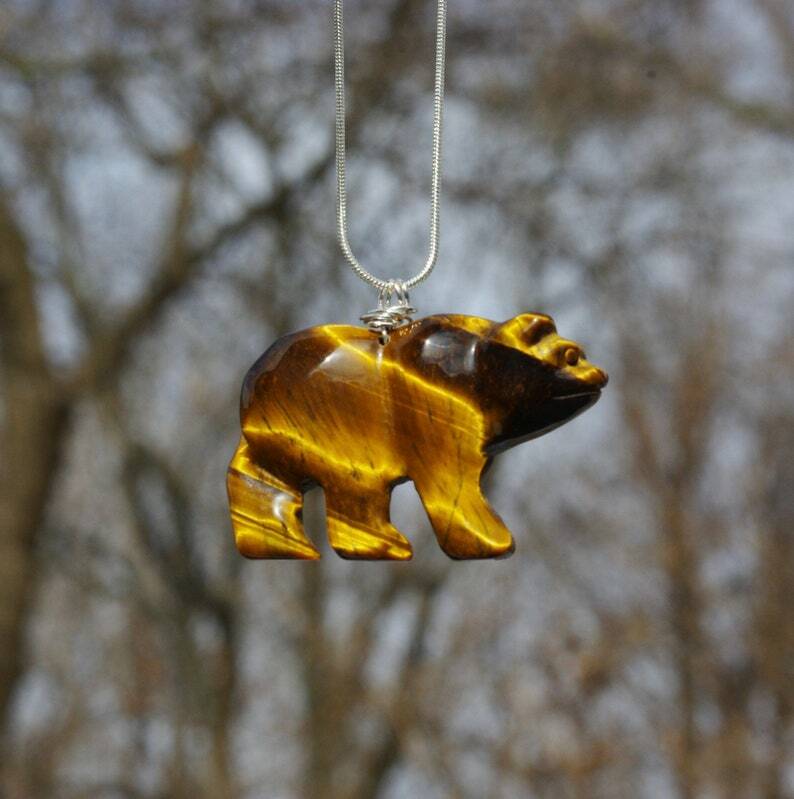 This is a beautiful pendant that glows in the light with warm brown tones. 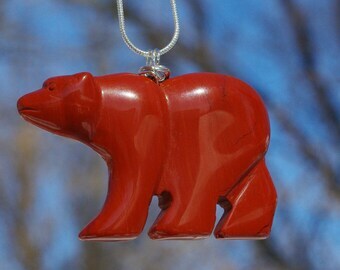 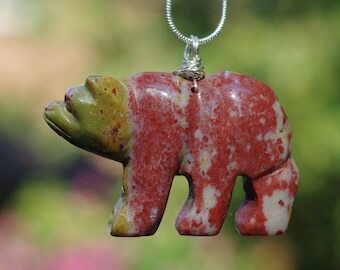 The brown bear shaped stone is 2" (5cm) by 1.5" (4cm). 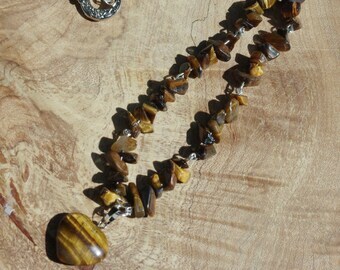 Sterling silver wire is wrapped and attaches the stone to the sterling silver chain accentuating the warm colours in the stone. 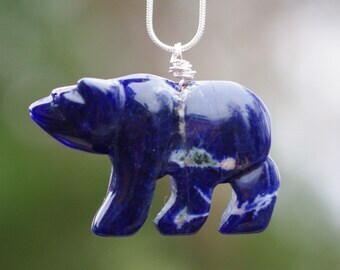 This is the exact stone that you will receive. 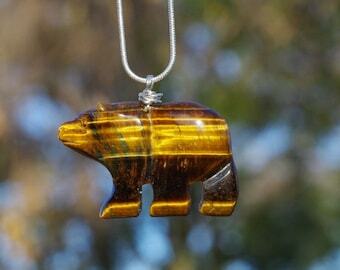 In folklore, Tiger’s Eye helps to rebalance the body on all levels, encouraging optimism and trust in the future. 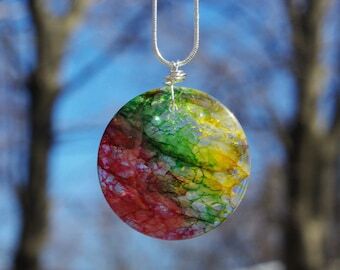 It brings brightness and light into all situations and shines insight onto all problems. 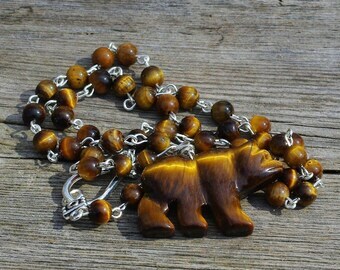 Tiger’s Eye brings good luck, abundance and prosperity to its wearer. 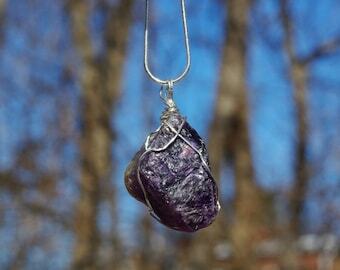 In many ancient civilizations, it was used as a talisman against bad luck and curses. 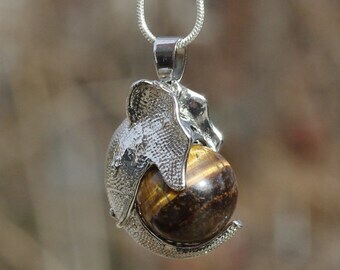 Tiger’s Eye is a must have in any home for healing. 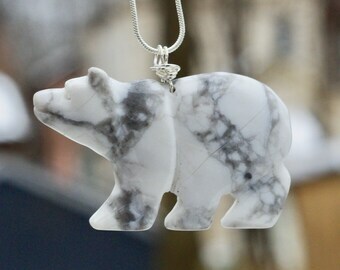 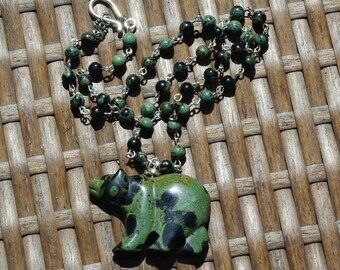 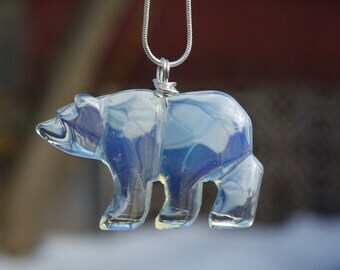 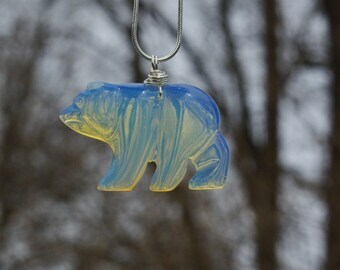 I was very happy with the speedy service, and delighted to find such a large stone bear pendant. The website page shows the bear exactly how it looks in real life which is just lovely. 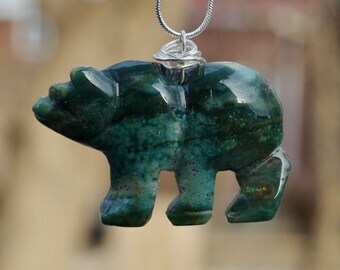 I am pleased and would not hesitate to recommend this seller. 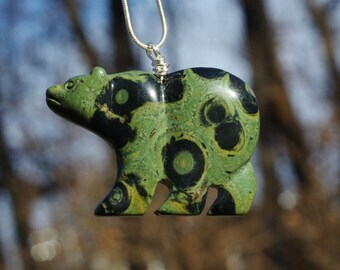 I will be keeping an eye on the seller for future purchases.